As I write these words, a meeting is being organized in Singapore between the US and North Korea, and it is worth reflecting for a moment on how it happened that the world suddenly changed. The use of mediation has grown and evolved over last the thirty years. As the “founders” begin to retire and new voices emerge, what is the future of mediation from a global perspective? We evolve, not only as individuals, but as couples, families, groups, organizations, societies, economies and polities, both in the nature of our conflicts and in our approaches to resolution, moving from simple to more complex, nuanced and skillful forms. But in order to evolve, it is necessary for us not merely to settle or resolve the particular conflict we are facing, but also its hidden coda, essential nature, or binding principle, by learning the secret lesson it took place in order to teach us. Kenneth Cloke discusses the significance of mediation and how the world needs to learn these skills in order for us to survive as a species. While people in conflict commonly make reference to the facts, behaviors, feelings, personalities, or events surrounding their conflicts, for the most part they ignore the deeper reality that these experiences are all processed and regulated by their nervous systems, and are therefore initiated, resolved, transformed, and transcended by their brains. Yet only recently have mediators begun to consider how our brains influence our conflict behaviors. Internal conflicts are endemic and natural to progressive political and social movements, in part because it is difficult to agree on how to define and change highly complex, volatile and evolving social problems. As a result, over time, different definitions of the problem and perceptions about the nature of those who defend and represent it result in radically different notions about what needs to be done to change it. This article helps to clarify definitions of conflict and people's goals for resolving it. This practical guide provides a handout for employers. This is to be used by employers as a checklist to consider before terminating an employee. Ken Cloke suggests 25 prenuptual questions that are helpful for couples mediation. These questions are designed more to facilitate a strong marriage than a smooth divorce. Ken Cloke of Mediators Beyond Borders is interviewed at the UNFCCC conference in Denmark about how to change the scope and feeling of a conversation to achieve understanding. The recent oil spill by British Petroleum in the Gulf of Mexico highlights an escalating set of difficulties in our responses to environmental catastrophes, with echoes that resonate and reverberate with experiences responding to Hurricane Katrina in New Orleans, earthquakes in Haiti and Peru, firestorms in Russia, flooding in Pakistan, the tsunami in Indonesia, and others. Kenneth Cloke explains that if you're not able to be sincere as a mediator, simulating sincerity will lead to true sincerity and authenticity. Mediators Beyond Borders (MBB) is calling on all delegates to include a mediation provision in the climate change treaty. Currently, the Kyoto Protocol includes negotiation, conciliation, arbitration, and judicial options, but not mediation. 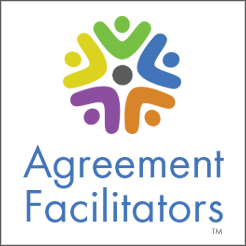 Ken Cloke talks about a training method he uses that makes mediators aware that they are no different than the parties they are mediating. Ken Cloke talks about how the concept of conflict resolution has come about in history in order to prevent catastrophes such as nuclear war. Ken Cloke describes the body, mind, emotions, energy, heart, and context as the six places where conflict happens. Ken Cloke discusses how being a mediator makes one self-reflect in a variety of ways. It enables one to observe their mistakes and fears, it helps in relating to others who are going through struggles that the mediator has endured, and it helps one develop intuition. In a recent experiment, Swiss Neuroscientists Beate Ditzen, Marcel Schaer, Barbara Gabriel, Guy Bodenmann, Ulrike Ehlert, and Markus Heinrichs found for the first time a direct connection between oxytocin and couple bonding in human subjects. The following summary is drawn from their research report. Ken Cloke describes how the goal of training is to provide the student with structure and steps, enabling them to have the courage to face the moment when the steps are no longer necessary. Conflict is everywhere, not only between human beings, but throughout nature, from quantum mechanical particles to dark energy and the soap bubble structure of galactic superclusters. Nonetheless, we each take our conflicts personally, and far from being happy or grateful to our enemies, we often allow ourselves to be thrown off balance and drawn into unpleasant ideas, negative emotions, and destructive behaviors. Thank you. As conflict resolution professionals, practitioners and scholars, we have noticed and profoundly appreciate your efforts to change the process and tone of how differences are managed, both in Washington and around the world. We value your experience, understanding and commitment to conflict resolution, and offer our full support to you and your administration in your efforts to promote peace, collaboration, and consensus in domestic and international relations. While it is, of course, both necessary and vital that we recognize the key differences between the professions of psychology and conflict resolution, it is more necessary and vital, especially in these times, that we recognize their essential similarities, collaborate in developing creative new techniques, and invite them to learn as much as they can from each other. Janis Publications Inc. announced it has published Conflict Revolution: Mediating Evil, War, Injustice and Terrorism by author Ken Cloke. Among other things, Ken is President and co-founder of Mediators Beyond Borders. The emergence of Barack Obama as the front-runner for the Democratic nomination, and thus for the Presidency of the United States, presents us with unprecedented opportunities to influence global dispute resolution strategies and shift the prevailing paradigm of adversarial politics and diplomacy. Every election year we witness the spectacle of candidates and parties engaged in character assassination, meaningless polarization, trivialization of serious issues, false and slanderous advertising, manipulative rhetoric, and corruption of the political process through that modern form of bribery known as campaign financing. These tactics create a political culture that isolates and alienates the majority of the electorate; reinforces competitive, destructive, adversarial behaviors; generates chronic conflicts; and de-emphasizes interest-based options. When listening to news about the latest disasters from wars and terrorist attacks around the globe, I sometimes fantasize what would happen if, instead of dropping bombs on civilian populations, mediators by the tens of thousands were parachuted into war zones to create conversations across battle lines; if, instead of shooting bullets, mediators organized dialogues and shot questions at other side; and if, instead of mourning the loss of children’s lives by visiting equal or greater losses on children from the other side, mediators would act as mourners, and turn every lost life into the name of a school, hospital, library, road, or olive grove that would be open to all and dedicated to the common good. We require improved understanding, not only of the conflict in politics, but the politics in conflict. As our world shrinks and our problems can no longer be solved except internationally, we need ways of revealing, even in seemingly ordinary, interpersonal conflicts, the larger issues that connect us across boundaries, and methods for resolving political conflicts that are sweeping, strategic, interest-based, and transformational. A clear, unambiguous reason for doing so occurred on September 11, 2001. Each style of music evokes a different set of emotions, memories, and spiritual or energetic responses. Can we then use rhythms of speech to elicit sadness, anger, or fear? Can we counter these dusky tempos with lighter, upbeat rhythms in order to elicit joy, affection, or courage? What are the qualities of vibration that impart these special, substantive meanings? What, for example, is the vibratory quality of a sincere apology as opposed to an insincere one? And how do we know the difference between them? Taking a risky approach to conflict resolution allows both sides to discover newer and deeper levels of understanding, improve their skills and relationships and find better solutions than either side thought possible. For these reasons, conflict is a valuable personal and organizational resource and a powerful source of learning, development and growth. "How easy it is to kill someone you don’t have to mourn because you never dared to imagine him alive." This is the essence of terrorism, but it is also the essence of war. Indeed, isn’t terrorism simply a form of warfare directed at civilians? Isn’t every war, regardless of its’ declared military aims, an assault on innocent civilians? Most people in conflict strike a variety of poses or "acts." These melodramatic affectations are highly effective in capturing other people's attention. None, however, describe who they really are, or allow others to see them as multi-faceted, complex individuals. In this way, each pose keeps them locked in conflict. Mediating dangerously means helping them drop the pose and cut out the act.